Summertime is almost here. Soon, little paper umbrellas will dot our drinks, sunscreen will cover our backs, and (for event planners), company picnics will cover our calendars. Here’s how to navigate your company’s outdoor event of the year. 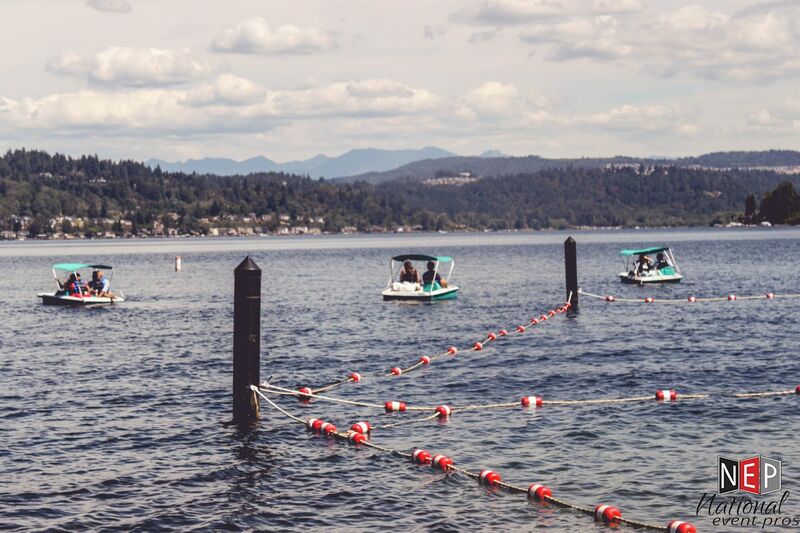 Most cities have permitting processes for reserving public parks at reasonable rates. 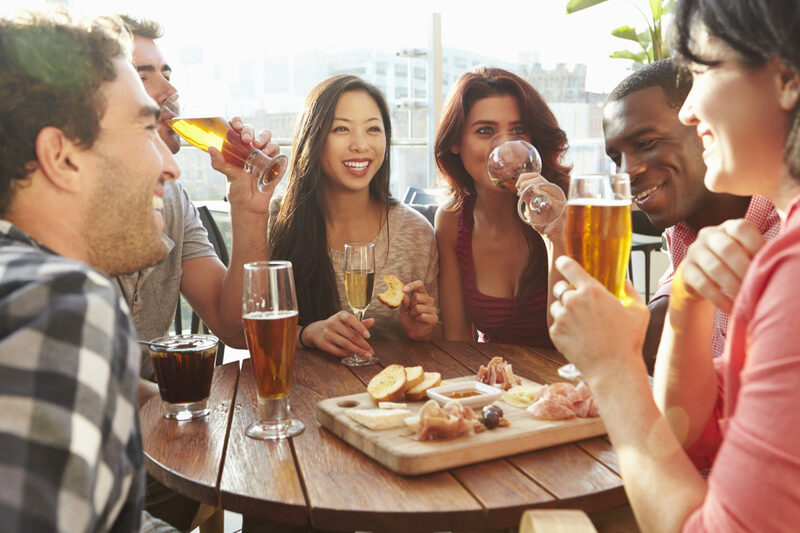 Check with your city’s parks department to find out what’s available, and which alcohol or noise restrictions you’d have to adhere to. Even beachfront access and pier usage can sometimes be reserved for the price of a simple permit. Want to get away from the peering eyes of the public, or looking for a setting more formal that a park can offer? Consider a rooftop bar or restaurant. A far cry from the simple pleasures of a grassy park, rooftop venues retain the summery vibes while offering epic views and mouth-watering drinks. Planning for a party of thousands? You’re in good company. 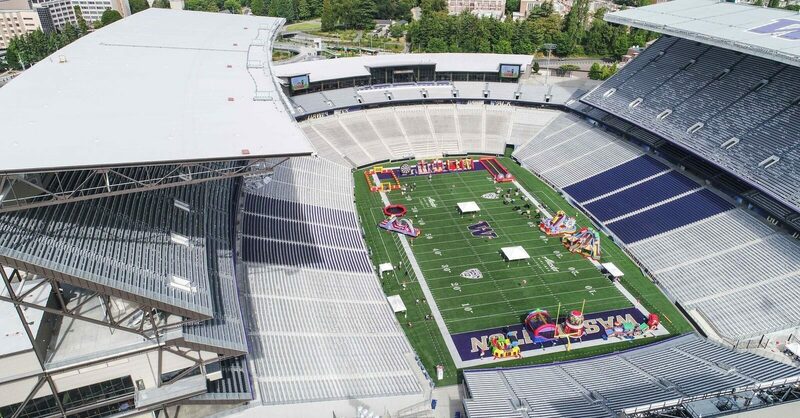 We’ve planned parties for many some of the country’s largest workforces, many of which have brought us to stadiums typically reserved for crowds in the tens of thousands. Renting the field of a stadium is a great way to provide plenty of lawn space while allowing for more robust crowd control than a public park could ever provide. Today’s monstrous inflatable water slides offer guests an experience the public pool, country club, or waterpark can’t beat. Our personal favorite? 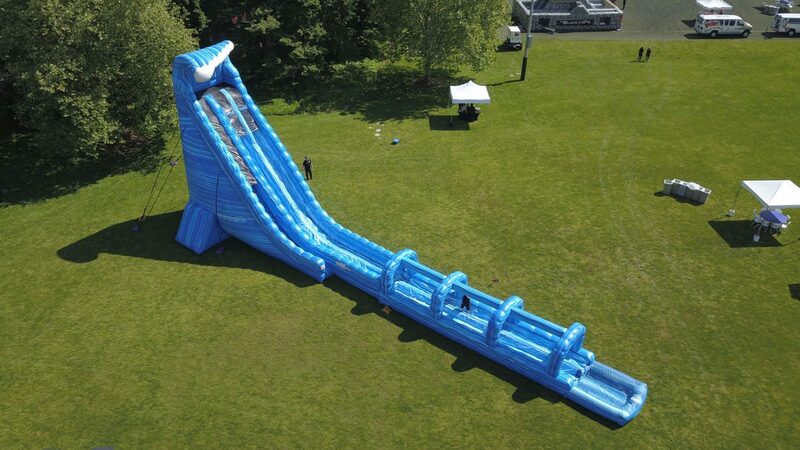 The epic 100-foot-long Blue Crush. Not since calling in for Wipe Out auditions have your guests had a chance like this. Inflatable obstacle courses are an escape from the mundane, providing both team bonding and downright hilarity. 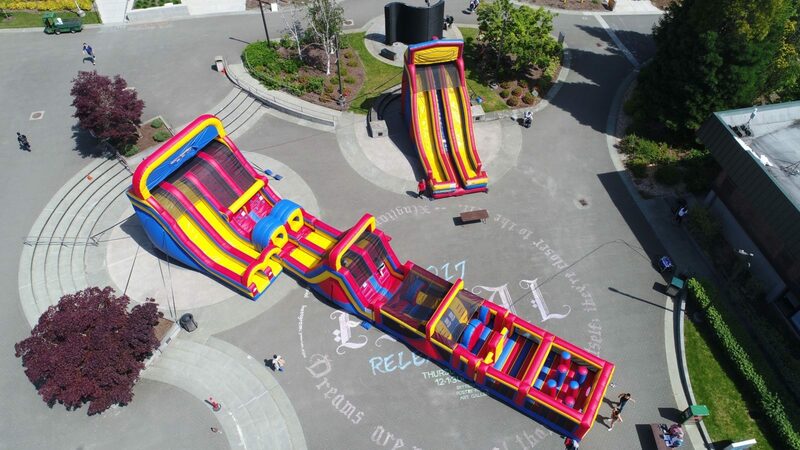 This Mega Inflatable Obstacle Course allows 120 people per hour to get in on the fun. 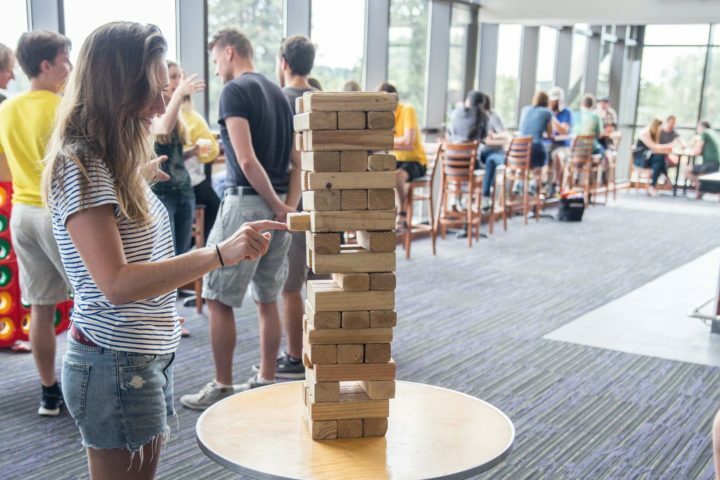 Chess, checkers, and Jenga may not sound like logical outdoor games until you see these. Giant interactive games are taking the events world by storm, giving gamers a Honey I Shrunk the Kids experience. There are a number of different ways to tackle catering for an outdoor warm weather event. Among the crowd, favorites are grilled goodness, cold and refreshing, or carnival fun. What goes well with heat? More heat! Rent huge grills and offer guests a cornucopia of good ole’ American barbeque. 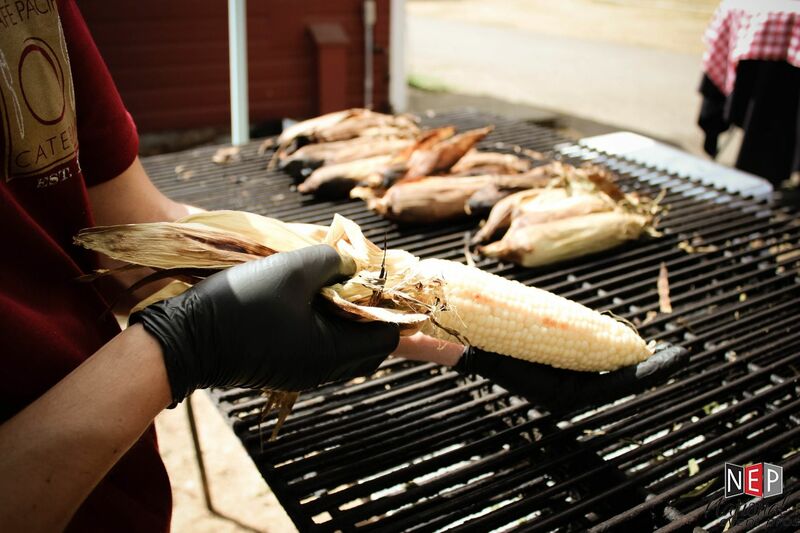 Corn, brats, chicken breasts, and fish put smiles on the faces of hungry guests every time. Think back to your childhood days. What would you beg your parents to buy you at the fair or theme park? 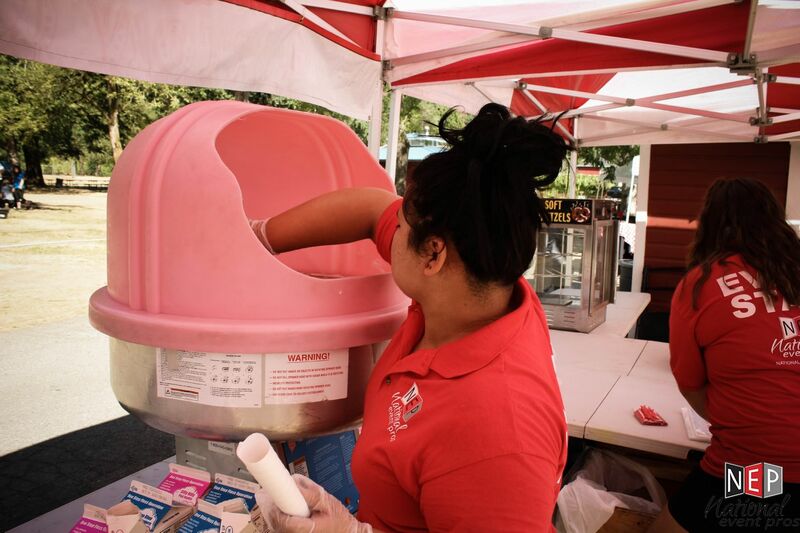 Think hot dog bars, cotton candy, and funnel cakes. This catering theme is all about fun. Your waistline will be just fine. If you live in an especially warm part of the country, use your menu to cool your guests. 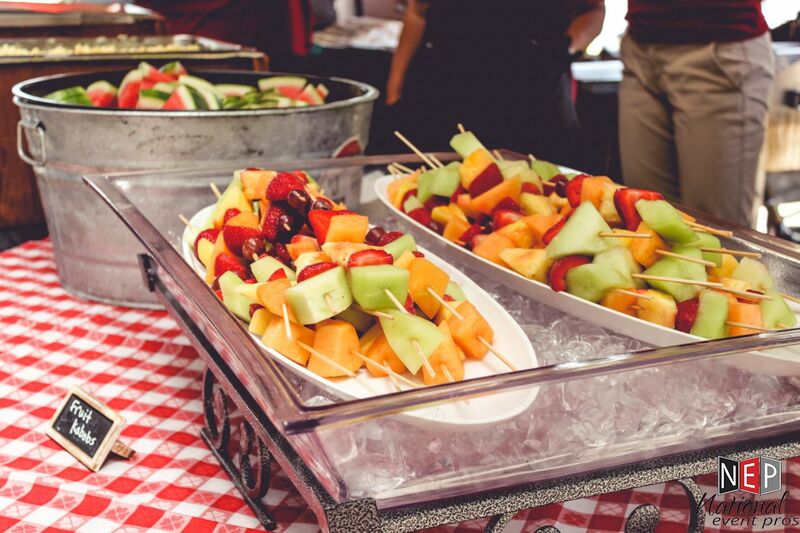 Fresh fruit, ice pops, frozen drinks, and cool entree salads will take the edge of the temperature while satisfying the palate. So when, exactly, should you start thinking about your summertime gathering? As odd as it sounds, in the summer. The summer before, that is. Some large venues, like stadiums and fields, get reserved a year or more in advance. For smaller gatherings, public parks may have availability within a matter of months. But wait any longer, and catering options may begin to dwindle. Give yourself some notice, and the summer party will actually feel like a break for you, too.